Only current CBW or CCBN Associate Members are eligible to attend or sponsor this event and/or participate in the trade show. Trade show space is available based on sponsor level and space available. 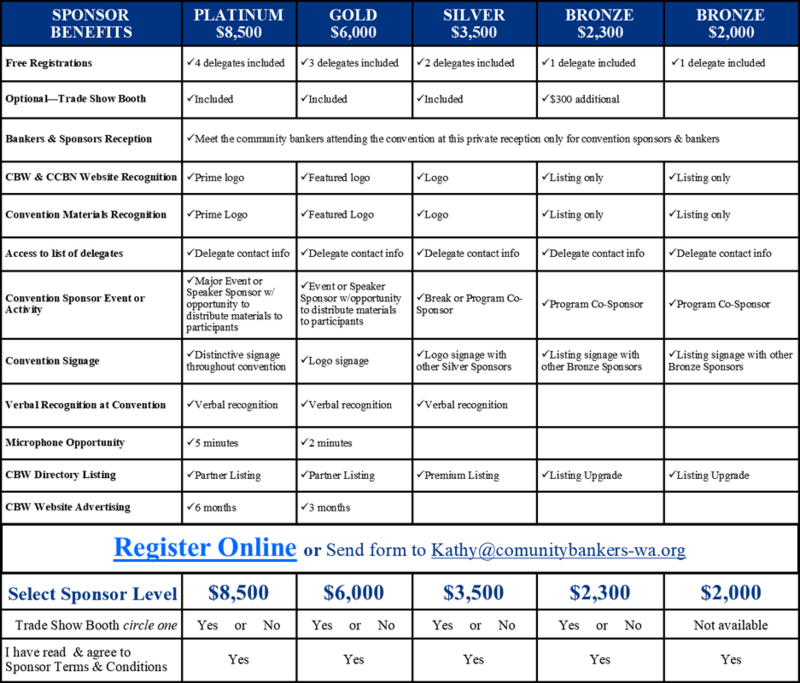 Additional delegate registrations above the number included in sponsorship are $495 each.